GoodHousekeeping.com is a website that is primarily catering to the contemporary housemakers of the modern world. It features a number of articles that deal with social issues, consumer issues, home decorating, health, food, relationships, child care, nutrition, etc. The website is famous for its well researched investigations, inspirational write-ups, motivational personal stories and more. Created as a go-to resource for each and every aspect of life, GoodHousekeeping.com has been bringing solutions that allow its readers to overcome everyday challenges for the past 125 years. 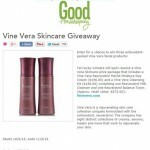 In an article titled “Vine Vera Skincare Giveaway”, GoodHousekeeping.com offers ten of its lucky winners will the chance of winning an exciting Vine Vera Giveaway. The Giveaway also offers readers with insights into the Vine Vera brand and shows them where they can purchase their favorite Vine Vera products as well. Vine Vera feels really happy to be associated with a reputed and trusted brand like GoodHousekeeping.com and hopes to continue its association with GoodHousekeeping.com for many more years to come. 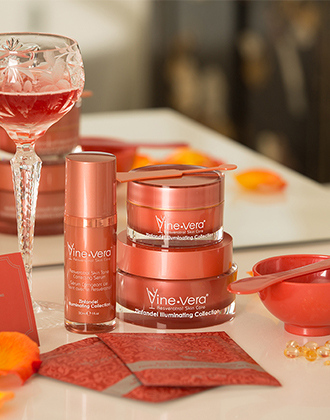 This giveaway shall include the Vine Vera Resveratrol Merlot Moisture Day Cream and the Vine Vera Cleansing Kit. Hurry up and apply for the giveaway because it ends on 6th November 2014. To participate in this exciting GoodHousekeeping.com Giveaway, please visit http://www.goodhousekeeping.com/sweepstakes/30508. Hope you’re as excited about the giveaway as we are. I recently took vacation with my husband at Maui Island. We of course had to visit “Hilo Hatties” and when we walked in the door we was greeted by a wonderful gentleman whose name I won’t give but he was demoing the Vine* Vera Skin Care Collection. The product took the bags under my husbands eyes away in ten minutes and gave me the look of a ten to fifteen thousand dollar face-lift in approximately twenty minutes. Needless to say we bought nearly everyone of the products we could get our hands on. We have been using the products religiously and are extremely happy with the rapid results we are getting.